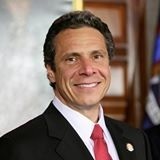 New York – (RealEstateRama) — Governor Andrew M. Cuomo today unveiled a comprehensive plan to better protect senior citizens throughout New York from financial exploitation and foreclosure. The plan includes establishing an Elder Abuse Certification Program for banks located in New York State, amending the banking law to empower banks to place holds on potentially fraudulent transactions, and strengthening legislation that will protect senior homeowners with reverse mortgages. Financial exploitation of seniors is a national issue and Governor Cuomo has made it a top priority to deter unlawful actions against New Yorkers and put an end to senior financial abuse. A study was conducted in New York State in 2013 that found the statewide impact of financial exploitation to be at least $1.5 billion. Launching an Elder Abuse Certification Program: This program will be available for all banks located across New York. The State Department of Financial Services will design the Certification Program, which will include training bank employees on how to recognize the signs of financial abuse. Upon completion of this certification, banks may display their certificate so consumers are aware of the special services they offer. Bank Enforcement: Currently, banks are insufficiently using their power to place holds on, or prevent suspicious transactions involving elder financial abuse. The Governor proposes new legislation further empowering banks to place holds on potentially fraudulent transactions in order to protect their consumers, and be immunized for doing so in good faith. Many New Yorkers over the age of 62 utilize lending products known as reverse mortgages. Misled and misinformed by advertisements, seniors often choose reverse mortgages for an additional income without fully understanding that payments are still required for all taxes, insurance, and home maintenance. As a result of these deceptive practices, many senior citizens face foreclosure because of a missed tax or insurance payment. Close Consumer Protection Loopholes: The Governor proposes amending the Real Property Actions and Proceedings Law and Civil Practice Laws and Rules to include reverse mortgages. This will require that the same consumer protections be provided to all homeowners, regardless of the lending product they utilize. Launch Review of Regulations: The Governor will direct the Department of Financial Services to revisit and revise any rules and regulations pertaining to reverse mortgages. This will help to prevent future foreclosures and further protect New York homeowners.